The Australian made pile seals from Schlegel are available in a broad range of options to meet diverse sealing requirements. The only pile seals made in Australia, Schlegel’s seals can be customised to specific requirements and delivered with a quick turnaround unlike imported seals. Schlegel’s pile seals include Poly-Bond, Adseal (adhesive sticky back), Fin-Seal, Silent-Fin, Timber Seal and Skirting Seal. The BAL-40 and cold smoke tested seals offer consistently better recovery while ISO 9001 Quality Management and ISO 14001 Environment Management certifications ensure Schlegel’s products are safe and responsible. Schlegel’s extensive Q-Lon foam range is made in the USA and the UK, and tested to last for 20 years. 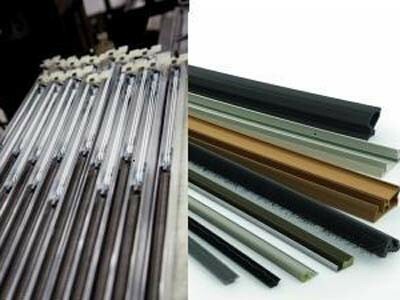 The thermal properties of Q-Lon are tested to perform to the highest standards under extreme conditions. As part of the Tyman PLC group, Schlegel is the only Australian company to manufacture Q-Lon and Aquamac (foam seals with nylon sheath). Their intumescent seals are BAL-40, hot and cold smoke tested. Schlegel’s world-class hardware is manufactured in Europe, USA and the UK for complete profiles and is complementary to their sealing range. The pile fibres move independently and are flexible, sealing perfectly against moving elements and uneven surfaces. The reinforced woven backing, extruded base is for optimal ease of insertion and carrier profile.